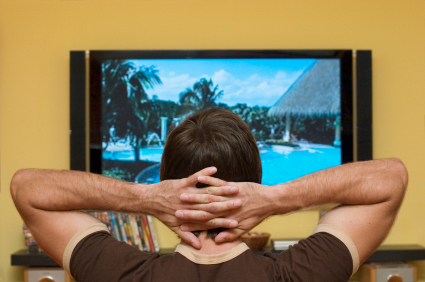 A study of over 1,400 UK consumers from market research firm Chadwick Martin Bailey has revealed major changes in how people are watching TV and movies, and the choices they make when it comes to the content they watch online. Once the domain of early adopters, more than half (54 per cent) of all consumers have already tried alternatives to pay TV (i.e. Netflix, Apple TV, or a network’s website). An even greater shift is expected, with 16 per cent of all pay TV customers saying they are likely to reduce their level of pay TV service in the next year. The study finds consumers of all stripes would adopt online TV viewing more broadly once providers develop a simple, reliable, and cost effective solution. According to this study, many of the prerequisites for this shift are already in place. – The biggest screen doesn’t always win, even at home. Core viewing behaviours are changing; 63 per cent of people who recently watched TV on a tablet say they used a tablet even though they had access to a television with the very same content available. – Streaming content is not only acceptable, it’s preferred. If mainstream consumers had an attachment to physically owning their content, they’re losing it. Respondents found streaming video twice as appealing as downloading and storing content on their own devices. – All of this is happening in the midst of a cost-cutting consumer mindset. Cost concerns came up again and again in the findings, as the main reason for dropping pay TV, for cutting back on pay TV, and for never signing up for pay TV in the first place. Even one in five of pay TV’s most valuable subscribers (highest ARPU) say they are likely to cut back in the year ahead. – Online viewing is already more common than one might think. Over half of all consumers, not just early adopters, have gotten a taste of viewing TV and/or movies online via services like Netflix, Apple TV, Hulu, or a network website.